I'm known around the office as the guy who never goes anywhere outside New England -- my dream vacation is doing nothing at a bed & breakfast in Maine -- but when I got a chance to visit Houston, I snapped it up like a hungry trout. Named for the wily Cherokee war chief who won independence for Texas -- that would be Sam Houston -- this place has character. Some say it's the western part of the South, and some say it's the southern part of the West. Actually, like the rest of the Texas Gulf Coast, it has a character all its own because of all the different groups of settlers who have arrived here over the years. Like the Dutch in New York and the French in New Orleans, the Spanish who settled the area left their mark on modern-day Houston. But the settlers are still coming -- nearly a million every decade -- and new arrivals are leaving their mark, too. More than 150,000 arrived all at once after Hurricane Katrina ravaged New Orleans, and the City of Houston provided the kind of help they needed to put their lives back together -- not just blankets and bottled water and shelters, but help finding permanent housing and jobs and medical care and getting kids in school. "Our goal," says Mayor Bill White, "was to help our fellow Americans on the path to recovery with dignity and compassion and to treat them the way we ourselves would want to be treated." A lot of people come to Houston to make a living, but it's a great travel destination, too -- a bustling metropolis with a world-class symphony orchestra, opera, ballet, aquarium and lots of theater and dance companies. There's Rockets basketball at Toyota Stadium, Astros baseball at Minute Maid Park, and Texans football at Reliant Stadium. 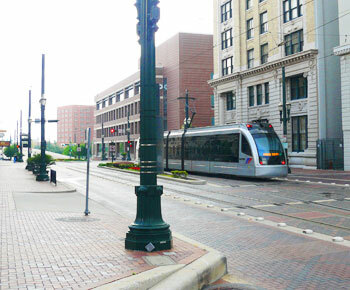 The City has done a lot to rejuvenate the downtown area in recent years adding a 7.5-mile system of light rail tram cars, with 30 additional miles planned by 2012, and the opening of Discovery Green, a 12-acre downtown park with playgrounds, fountains, dog runs, jogging trails, a model boat basin and even a skating pond open for two months in the winter. And there are lots of great restaurants and nightclubs in the downtown area, where you also see a lot of historic restoration like the iconic Hotel Icon, where we stayed. It's a former bank building transformed into a luxury hotel with a state-of-the-art fitness center and a five-star restaurant. Then there are the museums: the Museum of Fine Arts, the Children's Museum of Houston with all kinds of interactive displays, the Health Museum, the Holocaust Museum, the Contemporary Art Museum, the Houston Center for Contemporary Craft, the National Museum of Funeral History, the Art Car Museum, the world-famous Menil Collection and the Buffalo Soldier Museum, to name just a few. This beautiful 57-foot wooden yacht was built in 1941. During World War II it was fitted with a deck gun and used for submarine patrol in Galveston Bay. So if you want to know what to see and do in Houston, the big question is, "How much time do you have?" 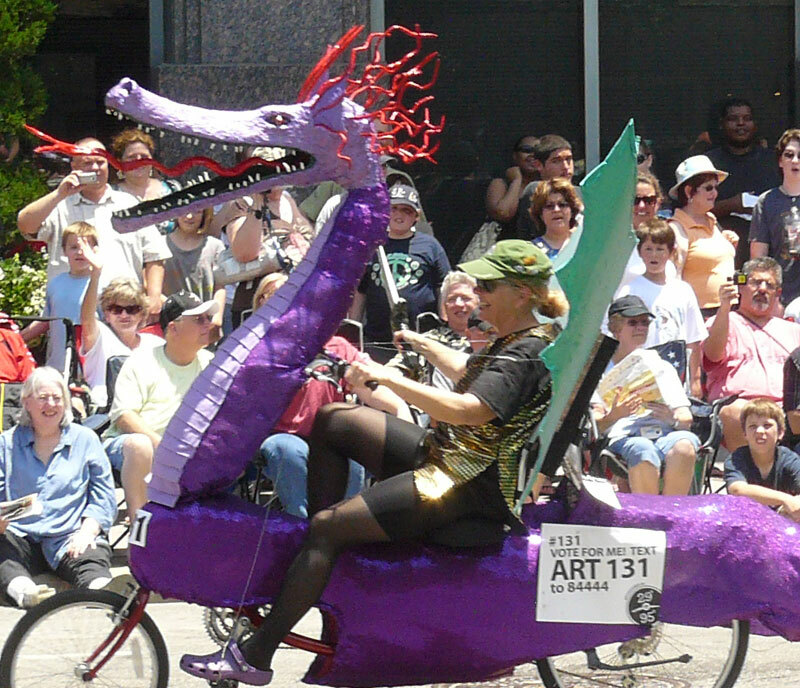 Fortunately the Houston Visitor's Bureau has a website that will help you plan your visit. I suggest you take some time to see the Orange Show, a backyard museum built by Houston postman Jeff McKissack in honor of his favorite fruit, and the famous Beer Can House with its unique brand of aluminum siding -- Texas Pride, Buckhorn, Lone Star, Budweiser, Miller High Life, Pabst, Schaefer, Schlitz, Old Milwaukee and Coors -- applied over the course of 40 years by retired upholsterer John Milkovisch. 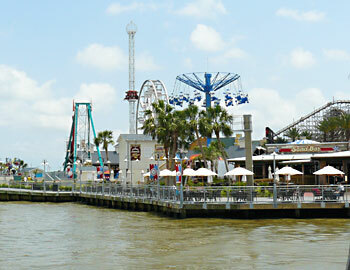 To the south, there's Clear Lake, the Venice of the West, adjacent to the Houston Ship Channel, with 19 marinas and more than 7,000 boat slips -- miles and miles of docks and boats leading down to the Kemah Boardwalk with all kinds of amusement rides, entertainment, restaurants and nightspots. 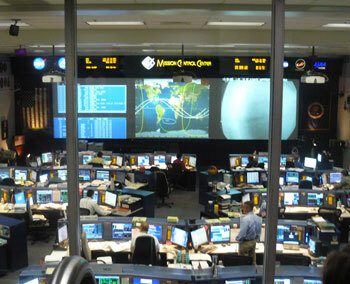 Mission Control at the Johnson Space Center in Houston. The curved lines on the screen track the orbits of the Space Shuttle. It's a great place to watch the endless parade of boats -- dinghies, shrimp boats, sailboats and yachts of all sizes -- on their way to and from the Gulf of Mexico. We cruised through Clear Lake aboard the Serenity, a 57-foot wooden yacht built in 1941. It was drafted into service for submarine patrol during World War II and fitted with a deck gun. Now it's now enjoying a comfortable retirement at Lakewood Yacht Club. But having said all that, there are two places you really have to see if you visit Houston: the Johnson Space Center and the San Jacinto Monument and Museum. 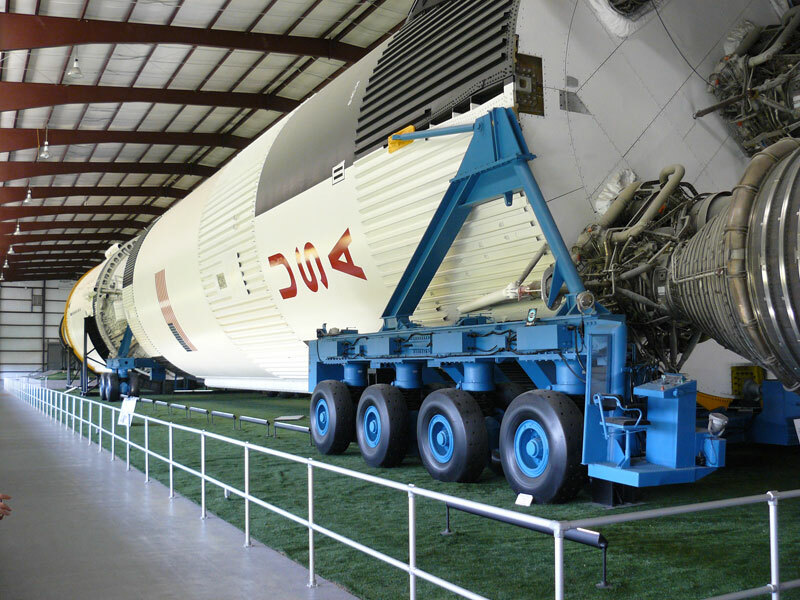 The Johnson Space Center is one of the most popular destinations in the world because it's packed with history and has all kinds of great interactive exhibits for kids. There are tours at different age levels and prices, but I recommend the 50-cent tour (actually it costs about $75) called the Level Nine Tour. This four- to five-hour tour takes you all over the Space Center. You can see the giant rockets that carried astronauts to the moon and visit the mock-ups where the astronauts train for missions at the International Space Station. 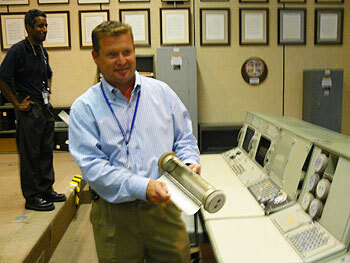 Anson Brantley of NASA shows what instant messaging was like in the era of the Apollo missions. Not only that, you get to visit Mission Control. One highlight of my trip to the Texas Gulf Coast was standing behind a plate glass window watching NASA scientists monitor a Space Shuttle mission in progress. Another was visiting the Apollo Control Room, now a National Historic Site. We got to walk around in the very room where scientists designed the innovative slingshot maneuver that saved the crew of Apollo 13. Jaded traveler though I am, it really gave me goosebumps as I thought back to the days of the Apollo missions and Neil Armstrong's famous footstep on the surface of the moon back in 1969. The room was used for filming during the Tom Hanks movie about Apollo 13, although they also had a mock-up set in Hollywood. Our guide Anson Brantley explained that the consoles you see in the Apollo Control Room are just monitors that were hooked up to a giant computer in the basement, and that giant computer had less computing power than your cell phone! There was a red telephone there to call the Pentagon -- just in case. We also got to see a Saturn V rocket exactly like the one that powered the Apollo missions. There you could see the enormous first stage (138 feet long, weighing 144 tons) that took the rocket 42 miles up and reached a speed of about 6,000 miles per hour. Then the intermediate stage (81 feet long, 40 tons) took it to 109 miles and 15,647 mph. Then the (comparatively) small third stage (58 feet long, 12 tons) that took it all the way to the moon at a speed of about 25,000 mph. Once you get out of Earth's atmosphere, you're in a vacuum, so you need a lot less power. But you have to be careful because it's 250 degrees (F) in the sun and minus-250 degrees in the shade. The main lobby of the Visitors Center has lots of games and simulators for kids of all ages, and I don't think I've ever seen so many kids having so much fun.